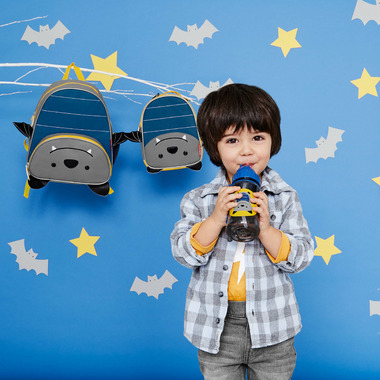 This kid-sized, go-anywhere bottle has a flip-top lid so the flexible straw stays clean. A major milestone for toddler is when she is ready to move on from sippy cups. 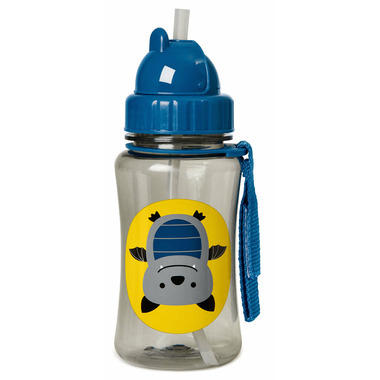 The Zoo Straw Bottle helps ease this transition by giving little ones a "big-kid cup" with the protection of a flip-top lid. Dishwasher-safe; also comes with an extra straw.